Fill in any one of hundreds of conditions than can afflict a fetus. We could begin almost any blog entry on biomedical technology this way, because the solution in those days was nearly always the same: deliver the baby and let nature run its course. The thought of intervening in fetal health was senseless, because doctors could know very little about the status of the fetus, until it was outside the womb. Sure, they could listen with a stethoscope to learn ‘yes, there’s a heartbeat’ or ‘no, there is not”, but ultrasonography was many decades away. Doctors in the year 1917 did have new technology called the X-ray machine. They didn’t know how to utilize it to get a picture of the fetus that could diagnose any common congenital condition, but they could image the mother’s pelvis to see if the birth canal was too narrow compared with the size of the fetal head. That was the state-of-the art, if you were in one of the most advanced teaching hospitals, where they also were capable of a new surgical procedure: the modern cesarean section. Jump to the current time, when doctors can see details of the fetal heart, brain, spinal cord, and other organs with 2-dimensional, 3-dimensional, and 4-dimensional ultrasonography. If something is wrong, they can remove the fetus early by a cesarean procedure. If something is severely wrong, such as an obstruction of the fetal airway that would prevent breathing, they can do what’s called an Ex Utero Intrapartum Treatment (EXIT) Procedure. This maintains the baby’s connection through the umbilical cord to the placenta, until the breathing problem can be fixed, or until an ExtraCorporeal Membrane Oxygenation (ECMO) device can be attached to breathe for the baby. We have begun discussing the artificial placenta and the artificial womb, and as we expand that topic in future posts you’ll read more about EXIT and ECMO. For the time being, whenever you hear about EXIT and ECMO, associate them with the lungs and blood. By putting oxygen directly into the blood and removing carbon dioxide, neonatologists can buy time. This enables medical treatments and surgery for conditions that used to be a death sentence, because they prevent a newborn from breathing, even with a mechanical ventilator. Technology goes still further, though. Fetal diagnosis is so advanced and instruments have become so small that surgeons can fix problems while the fetus is still in the womb. 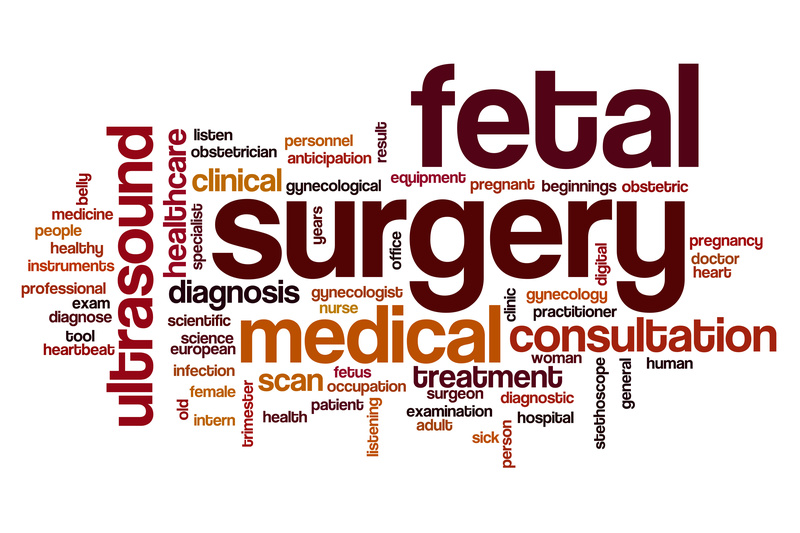 The field of fetal surgery has been developing rapidly over the last few decades. It used to be that most procedures were open –meaning they required a cut through the mother’s abdomen and then into the uterus, which leads to various problems for the mother. But today, the procedures have become less and less invasive, meaning there is reduced cutting through the mother. To access the fetus for various operations, surgeons only make small holes and pass through them instruments than can be as narrow as a couple of millimeters. Conditions that they can repair this way include myelomeningocele (spinal cord sticks out through an opening in the spine), lung malformations, congenital diaphragmatic hernias (abdominal organs penetrate into the chest), and twin-twin syndrome (one twin steals blood from the other, due to abnormal blood vessels in a shared placenta). What is Epigenetics and How Does it Affect Your Children?